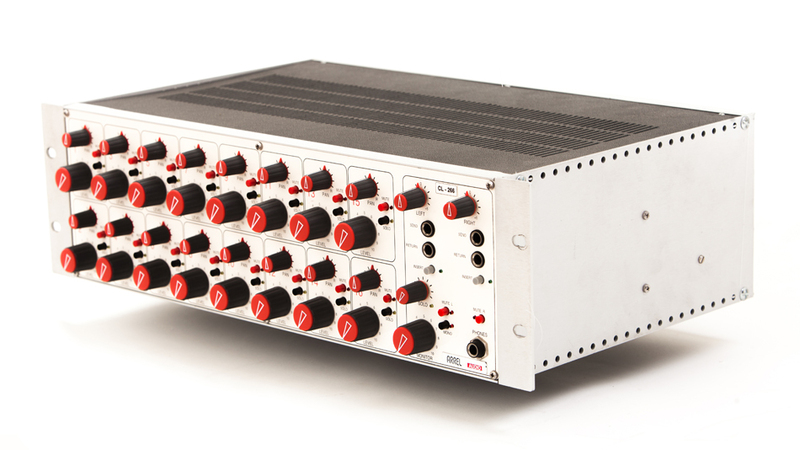 CL-266 is a 16-channel summing mixer designed to comply with the new demands stemming from digital recording technology. When used as a summing mixer, the CL-266 offer a series of distinctive features not available in any other comparable device on the market. The signal level is controlled by a 300° potentiometer allowing a 14dB range (-12dB to +2dB) that permits a very easy level set up. It allows an easy and precise level recall even without the need for stepped level controls which are more popular but less functional. 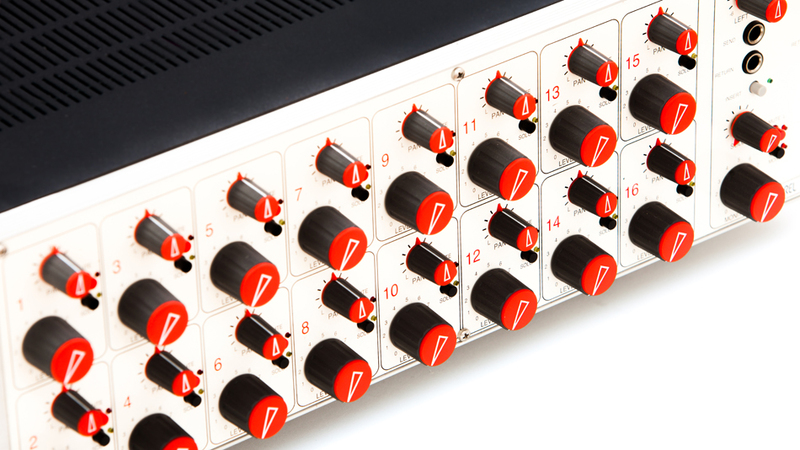 Each channel can be accessed by two different input connectors (DB25 and XLR) allowing hassle-free connections to professional DAW via a standard 8 channel multicore cable (DB25 to DB25) as well as single-channel external device insertion via an XLR cable. 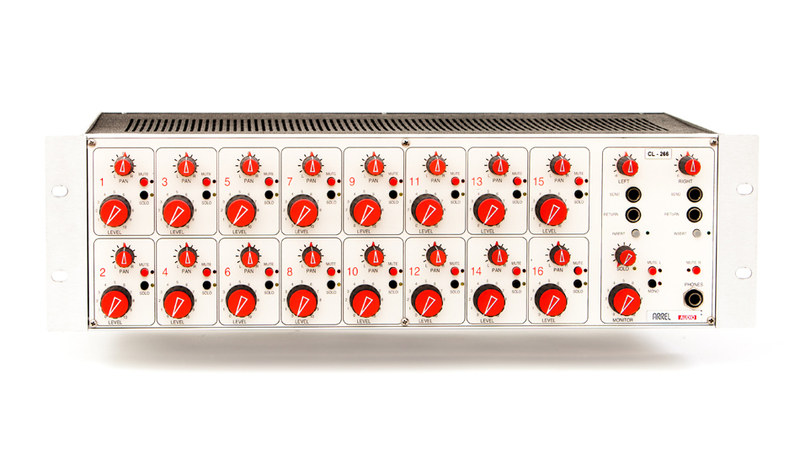 Following the summing stage is an insert point for connecting external units such as equalizers and compressors that can be bypassed with a front panel button. This insert connection, electronically balanced for both send and return, can be accessed either from the DB25 and XLR rear connectors or via front panel jacks. This feature is particularly useful when a main external unit (connected via the rear panel) needs to be momentarily replaced by another device quickly. The use of the send/return front panel jacks automatically disables the corresponding rear panel connected device. The send signal on the front panel jacks is always present allowing the set-up of the levels for the outboard connected by the front panel jacks. The connection of the return cable will exclude the main outboard connected to the DB25 connector on the back panel. Therefore a unit can be connected to the front panel jacks maintaining the main insert on the back panel. Master levels are set with two separate (Left and Right) -/+6dB potentiometers. Due to the fact that Solo and Master levels can be significantly different, the monitoring section has two separate and independent controls: a main master level control and a secondary solo level control (a led indicates that solo is activated). The solo mode remains active even when the channel is muted. (the signal is taken after the pan control, allowing an exact stereo image positioning). 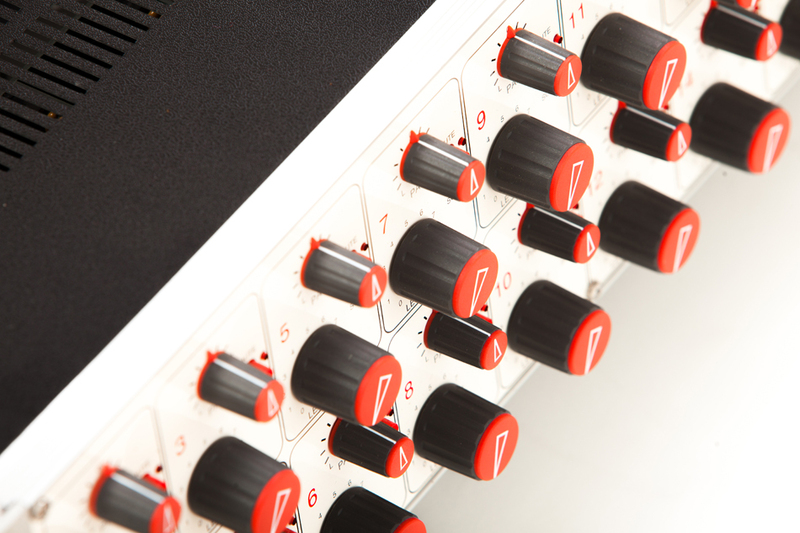 Used in conjunction with mic preamplifiers, the CL-266 is the ideal mixer for engineers working in studios not equipped with a classic analog console who do not want to use digital mixers. For this reason, a different CL-266 version characterized by a level control range of -20dB/+6dB is also available. 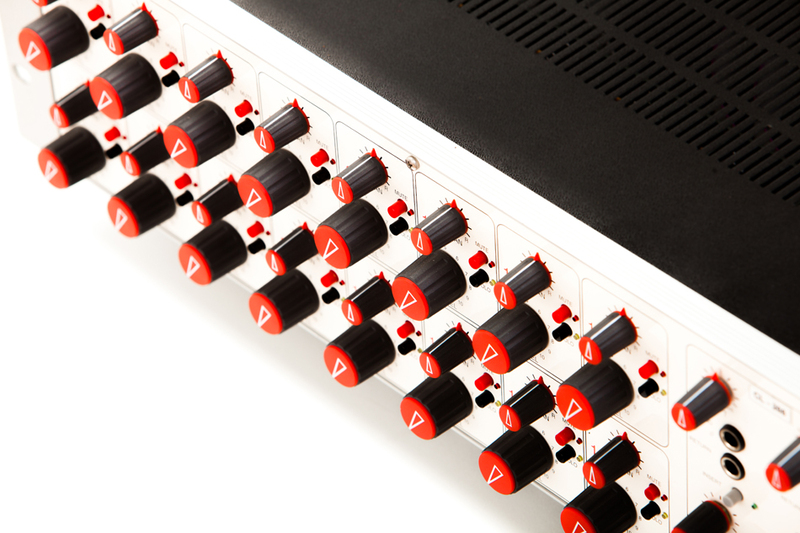 Channel Gain -12 dB range with a continuous potentiometer control (+6dB to -20dB version avaiable). Output Impedance 50Ω. (minimum external load 600Ω). Master Level Level +4dBu, Max +28dBu. 2 buttons for Mute and Solo. 2 x DB25 female (Ch1 to Ch16). 1/4” TRS jack stereo VU meter connection. 2 x Balanced XLR male: Return L, Return R.
Rear Panel Master Connectors DB25 female (Main L/R, Monitor L/R, Send L/R, Return L/R). Rear Panel Main Switch Power On/Off switch.